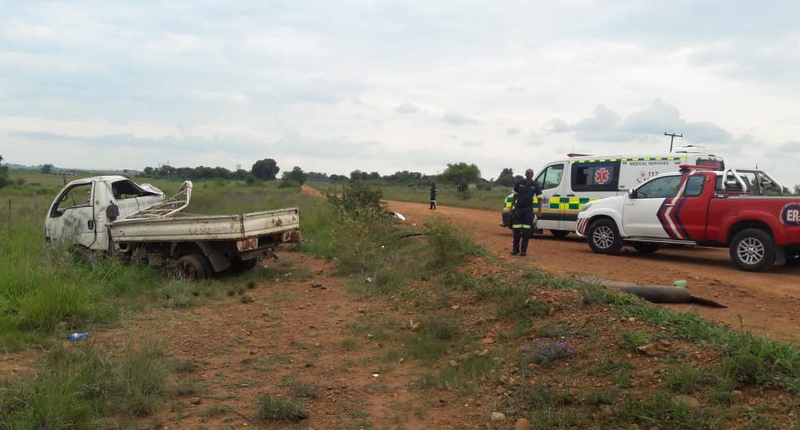 Twelve people, including a baby, were ejected from the truck they were travelling in when it rolled on the Vlakplaas road outside Vanderbijlpark this morning. One female, approximately 35 years of age, was declared dead on arrival and two males, roughly the same age, were critically injured in the incident. ER24 paramedics, Government and other services were on the scene just after 10 am to find patients scattered everywhere. One of the critical patients was airlifted by the Oneplan ER24 Helicopter to Sunshine hospital and the other was taken to a private hospital in the area. Nine other patients, ranging in age and suffering mild to serious injuries were treated and transported to Sebokeng and Kopanong hospitals. The exact cause of the roll-over is not known to ER24, but SAPS were on the scene for further investigation.